Canary View, a new budget-friendly indoor home security camera by startup Canary. The Canary View is cheaper than the previous Canary All-in-One home security system but you’ll get basically the same thing for a lot less money. The only differences between the All-in-One and the View are their price tags and the fact that the Canary View doesn’t have the ability to monitor your home’s temperature, humidity, and air quality. Basically, you’ll get crisp, 1080p HD video and audio with automatic night vision, and optional two-way audio, AI-powered person detection alerts, a 147 degrees diagonal field of view and also upcoming integration with new Amazon Alexa skill. It costs under $100, making it worth considering and more competitive compared to other similar products. 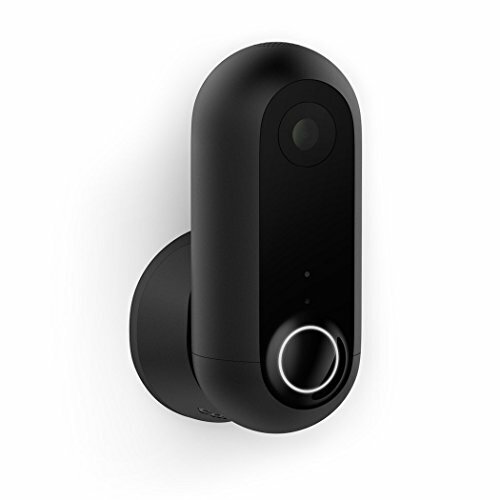 The Canary View doesn’t have to look like a security camera, looks and feels great in the hand. Black glossy plastics and graphite-colored frame make it blends into your home and can hide in plain sight whether you place it on a shelf, table, or console. Unlike other cameras that require separate hubs to operate, Canary View keeps you connected without the hassle. And a long, 2-meter micro-USB power cable allows plenty of positioning flexibility. During setup, Canary’s Android app seems unstable, crashing a few times during account configuration. But once we pairing the camera with a smartphone, setup continued smoothly without any errors. Then, the device will automatically update the firmware, so there’s no need to worry about keeping the device updated with the latest features and most recent hotfix. Once you’ve set up the View, you’ll be able to monitor your home by just select from three modes – Home, Away, or Night to toggle imaging, motion detection and alerting features. There’s also a privacy toggle that disables the camera completely. Just like the other two Canary cameras, the View can automatically switch between Home and Away modes using your phone’s GPS. The Canary View features a 2-megapixel, 0.3- inch CMOS sensor, a glass lens and a 147-degree field of view. A streamed live video is reasonably sharp, without the blockiness and smears. Daylight video was bright with nice color but the overexposed area is very noticeable. The 12 infrared LEDs did a good job of illuminating night scenes, and the night vision videos but still a bit of blurry. The recorded sound was clear, with no noise or distortion. During testing, the View’s motion detection did a rather good job in recognizing a person, as opposed to an animal or the movement of shadows. You need to teach the View by tagging videos according to what was detected — a person, cat, dog, car, tree, baby crying, curtains, etc. Although the Canary View records all activities, it will send notifications only for those it deems important. However, the notifications have been excessive delayed. We found that it could take up to two minutes for an alert to reach our phone when motion detection was triggered. Last but not least, Canary offers an optional membership ($10 per month or $99 annually) that adds a range of feature enhancements to the camera. Without one, you won’t get two-way audio and won’t get access to a web app, that’s pretty ridiculous. Thankfully, even if you don’t have a subscription, you can still get 24-hour timeline events, so the device isn’t completely useless without one. 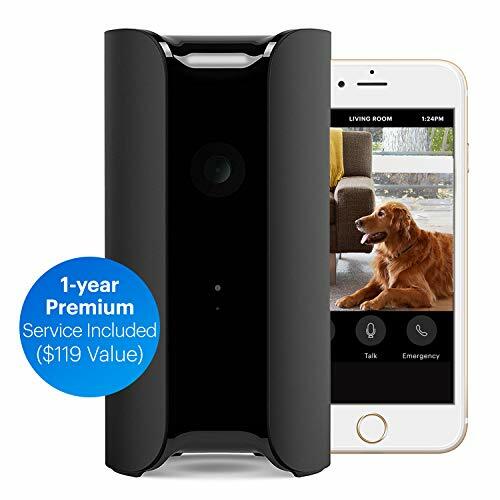 The Canary View is a bargain security camera offering good looks, reasonably sharp imaging, and integrations with both Amazon Alexa and Google Home. But it requires a subscription to unlock other features.